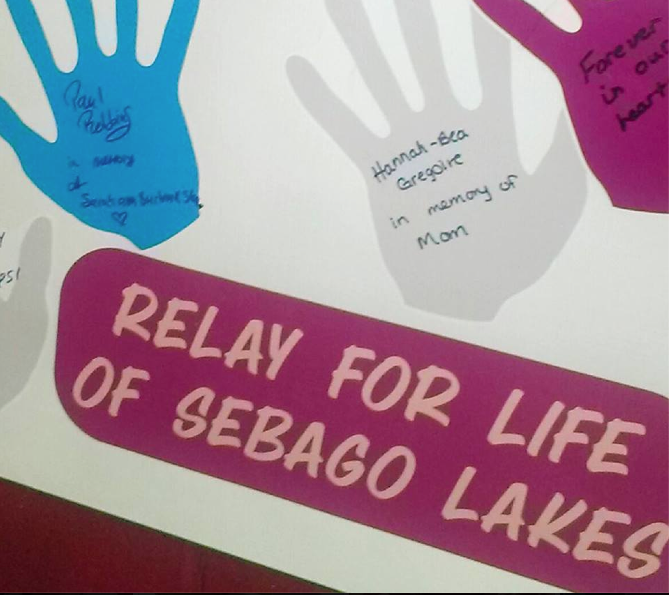 The Sebago Lakes Region Relay for Life has a new location, and a new format this year, but much remains the same. Walkers will still take to the track to raise money to fight cancer. 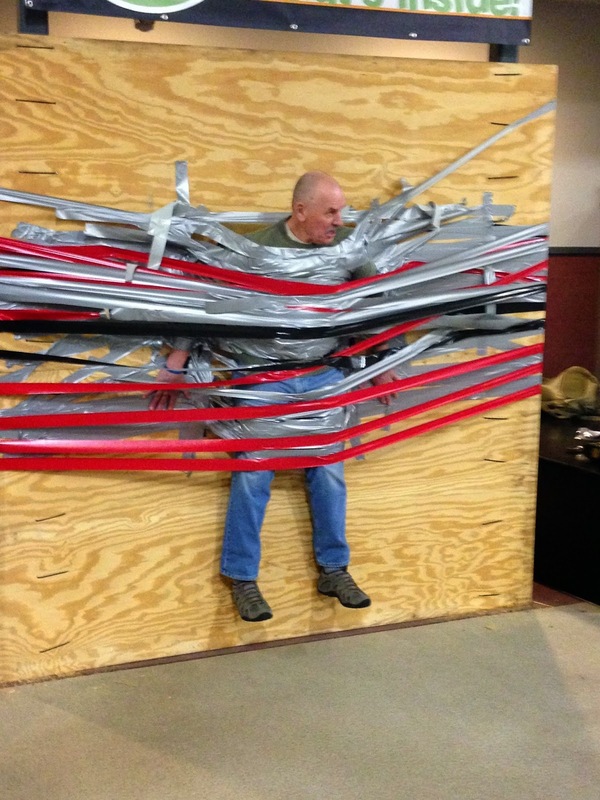 A committee is hard at work getting the word out to the community about the upcoming Sebago Lakes Region Relay, to be held on June 27, 2015. The event will be held this year at Gray/New Gloucester High School. And instead of overnight, this relay will follow a new model called “relay refresh,” said Hannah-Bea Gregoire, co-chair of the committee. The relay will begin at noon and wrap up at midnight, rather than the more traditional 6 p.m. to 6 a.m. overnight model. The addition of the “relay refresh” model gives the American Cancer Society (ACS) more options for relay events, said Lisa Dunham, a community manager for the ACS. This new model came about, said Dunham, after feedback that the overnights were getting too difficult for people to manage. “The feedback was that people were ready for a change,” she said. In this 30th anniversary year of Relay for Life, the ACS decided to try the model nationwide. The time change may also make it easier for teams to follow through with the intent that at least one member of a team is walking at all times. Kristen Peterson, co-captain of the Eternal Flame of Hope team, said that their team has always taken that requirement seriously, but it was disappointing to see how many teams left during an overnight event. Dunham agreed, saying that she has seen some events that began with 25 teams end up with only ten teams present in the morning. Although the intent is that someone from each team will be walking throughout the event, there is no monitoring of this component. “We’re not there to tell you what to do. We’re just there to fight cancer,” said Dunham, adding that they hope the new model will encourage teams to stay. Gray/New Gloucester High School has been extremely welcoming and helpful, said Dunham. The committee emphasized that they appreciate the Gray/New Gloucester community being willing to host the event. 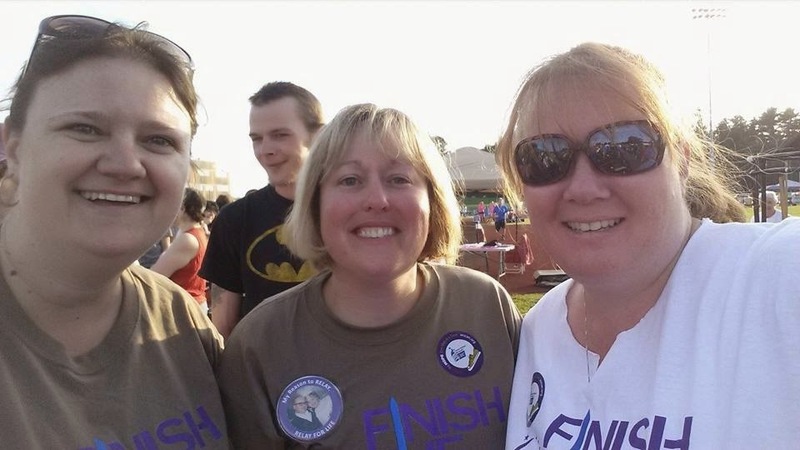 Cindy D’Alfonso, a cancer survivor, will be walking in her first Relay for Life event at the Sebago Lakes Region Relay. D’Alfonso was diagnosed with breast cancer after a routine mammogram in June of 2014. The cancer had spread throughout one of her breasts, and the recommended treatment was a double mastectomy, as well as radiation. After her reconstruction surgery in May, more tests will be run, and the best treatment plan determined. D’Alfonso said the cancer diagnosis brought with it a lot of questions and the need to pull back from the intense hours she worked as a restaurant general manager. But all along, she has maintained a positive attitude, she said. “I was determined not to let this get me down. I’ve had a positive attitude through the whole thing. It’s everybody else I worry about not me,” she said. 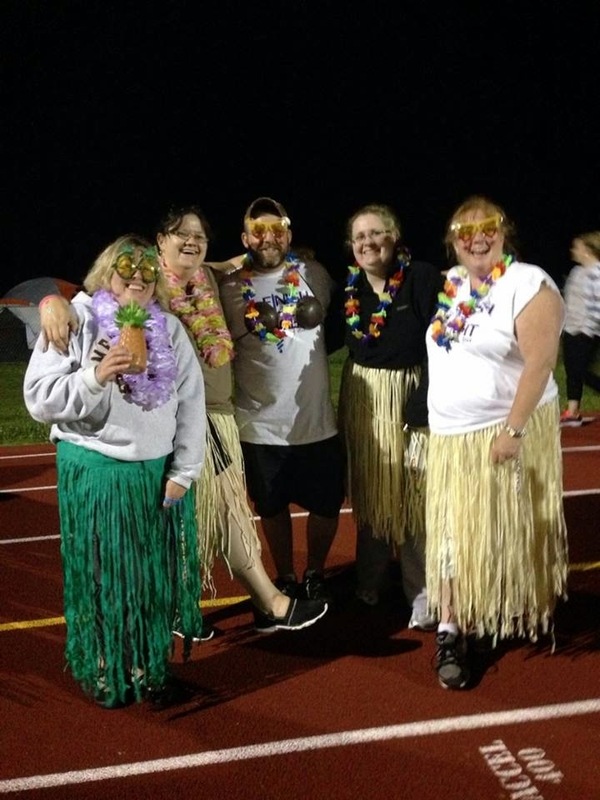 Last year, her husband and daughter participated in the Relay for Life, and D’Alfonso is excited to participate herself this year. Dunham emphasized that the American Cancer Society considers people survivors from the day of their cancer diagnosis. Survivors are celebrated at every relay event, she said. This year at the Sebago Lakes Region Relay, a brunch will be held at 11:30 a.m., free for survivors and their caregivers. Peterson and Brenda Woodman are co-captains of one of the top fundraising teams. 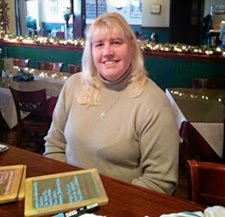 Woodman began her involvement in South Portland, when she joined the team of a co-worker who had been diagnosed with cancer. Shortly thereafter, her mother-in-law received a cancer diagnosis, and participation felt even more important. “It just was really lighting a fire for me,” she said. The following year, she asked Peterson, who she has been friends with since kindergarten, to join her at that event. The two began looking for an event closer to home, and formed a team for the Sebago Lakes Region Relay. This will be their fifth year heading up a team at that event. 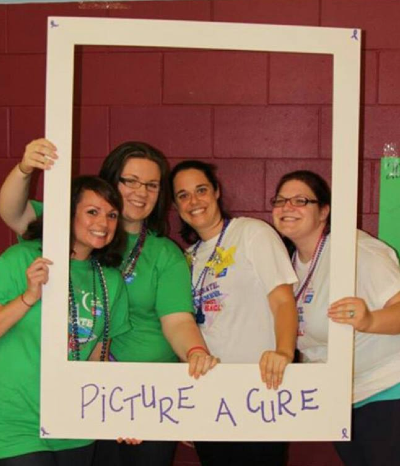 “We’ll walk until a cure is found and we don’t hear the C word anymore,” Woodman said. 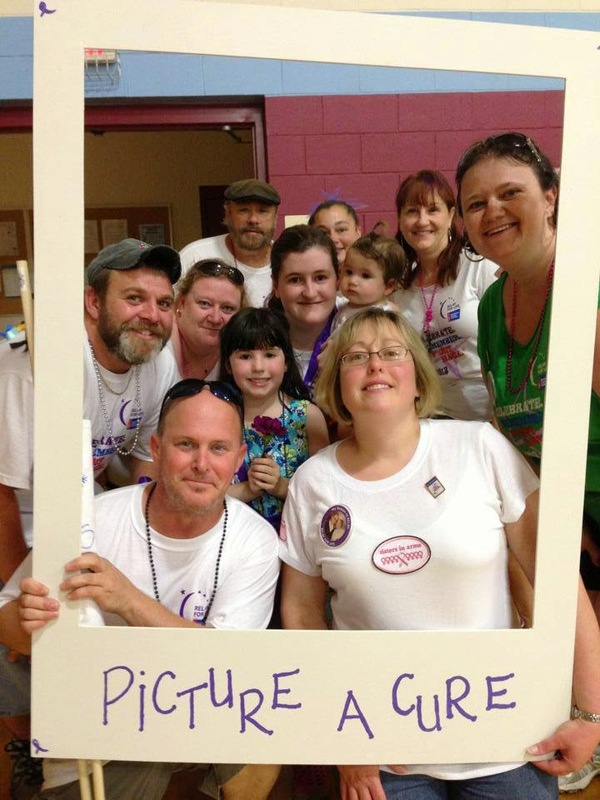 People often get involved with relay because they have been touched by cancer somehow. Gregoire is no exception. She lost her mother to pancreatic cancer in 2006, and has involved with Relay for Life for at least ten years. This is her third year with the Sebago Lakes Region Relay. Gregoire went to high school in Windham and received a lot of support from teachers and staff while her mother was battling cancer. “I love the community, I love the Sebago Lakes Region Relay,” she said. 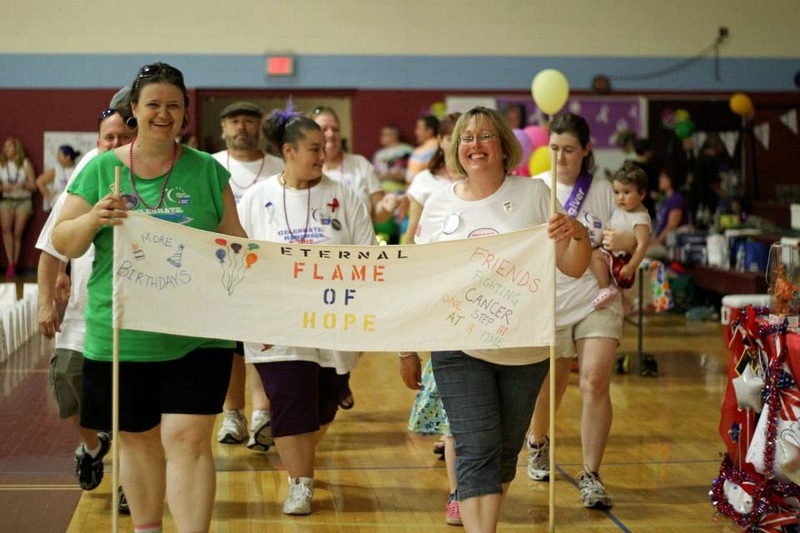 The Sebago Lakes Region Relay for Life currently has 13 teams, with room for more. There is no registration fee, participants can register online, and anyone who raises $100 receives a T-shirt. For businesses looking to get involved, sponsorship begins at $250, and a sponsorship of $50 gets the business logo on the T-shirt. 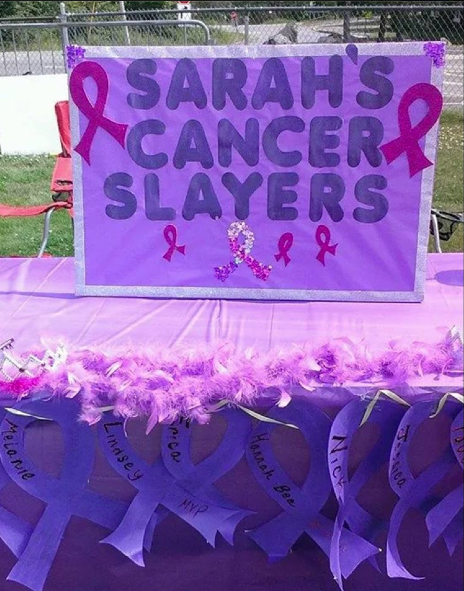 Information on events and current fundraising efforts can be found at relayforlife.org/sebagolakesme, or on the Relay for Life of Sebago Lakes Region Facebook page. Team right behind in fifth. This year’s winner was returning champion Waynflete. There are two different types of events that the students can partake in. Build events are the first type, which require the students to come in with a prebuilt design, and these events are scored base on the performance of their designs. Build events range from bridge design, to vehicles, to planes, and everything in between. The other type of event is a study event. In a study event, the students prepare by studying provided material before taking a test. Many students do both types of events, which provides them with a wide range of experiences. Each event encompasses its own unique qualities, which encourages students to try out new topics each year. One of the many great qualities of the Science Olympiad is the openness that allows each student to choose what they want to do. This allows students to challenge themselves in new and exciting ways. Terrance Shoemaker, a Windham senior, explained that the most important thing that he has learned from this competition is that, “I can do anything that I put my mind to.” This is really great for students to see that they can apply creating problem skills learned in the classroom. “[The students] gain experiences that they wouldn’t normally get in class. 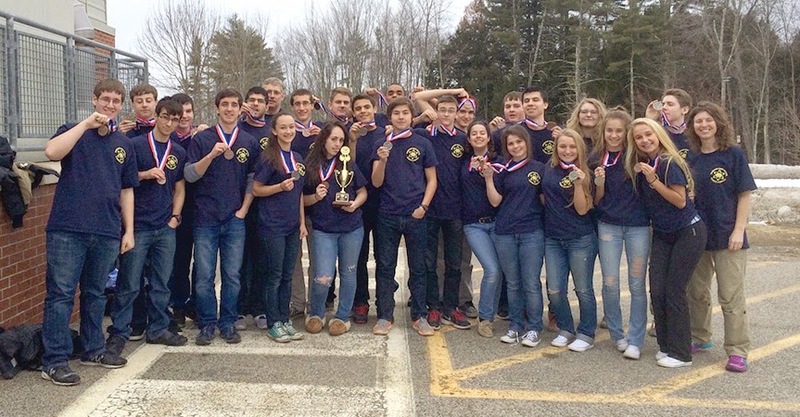 They have to use science in real world environments,” commented Windham coach Lisa McLellan, when asked in what way do the students benefit the most from being a part of Science Olympiad, she said, many students that are involved in Science Olympiad are going on to careers in some kind of engineering, or other math and science driven programs. But at the end of the day, even with all of the great experiences and skills the students learn, it’s about having a good time. The fact that Science Olympiad is student driven and teacher organized, all centered around the enjoyment of math, science, and competition, is what keeps the event around year after year. I have been thinking lately about how a library is like a front porch. Though the popularity of a front porch has waned in American culture, a public library is still a thriving community gathering place. On any given day, you may see old friends who have not seen each other in a while gladly greet each other and have a catch up chat or a new resident in town strike up a conversation with someone who has lived in the area for much of their lives. Many young parents upon moving to the area seek out the library so that their children can attend story times and they can socialize with other parents. Diverse program offerings ranging from book groups and author visits to financial literacy and technological advances are common place in today's library. Russell Warnberg, author and third speaker in our Maine Author Series will be at the Raymond Village Library on Wednesday, April 8, at 6:30 p.m. Mr. Warnberg, who resides in Windham, will be speaking about his suspense title, The Chalk Line Killer. Call 655-4283 to reserve your spot. On Monday, April 20 at the Raymond Public Safety Building beginning at 10:30 a.m., a presentation by Wildlife Encounters and its focus on animal habitats, safety and how people can save species from being endangered or extinct. It will feature a wide variety of non-releasable wildlife. Some will be interactive so the children will have a chance to touch and get close to certain animals. For all ages. This special event is sponsored by the Raymond PTO and Engineered Construction Services. On Sunday, April 26, from 1 p.m. to 3 p.m. you are invited to join us at the library to knit or crochet a scarf to donate for breast cancer. Come and enjoy the company of others in this worthy group effort. If you wish, you may bring a favorite pattern to share. We have pink yarn and some knitting needles and crochet hooks or you may bring your own. Our book group welcomes new members so join us on Thursday, April 30 at 7 p.m. to discuss the book, God’s Hotel, by Victoria Sweet. Dr. Sweet writes about the 20 years she spent practicing medicine at San Francisco’s old Laguna Honda Hospital, a giant chronic care facility for the city’s destitute and ill, where patients could live for months, years, as long as it took. The old Laguna Honda was a sole survivor and known as the last almshouse in America. The book is available upon request at the Raymond Village Library. Thanks to a generous donation from one of our library trustees at the Raymond Village Library, a pass to the Children’s Museum and Theater of Maine is now available for library patron’s use. Please check our new website www.raymondvillagelibrary.org for more information on library programs. 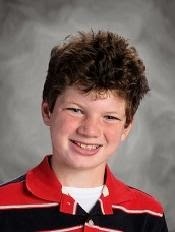 Eleven-year-old Matthew Fox is The Windham Eagle student of the week. The fifth-grader at Manchester School is in Mrs. Breton and Miss Goyette’s classes. His favorite subject is social studies. He also enjoys reading, sports and hanging out with his friends. Matthew lives at home with is mom and dad and has a 7-year-old sister Emma. Matthew has 2 cats, 2 guinea pigs and 1 dog. “When I grow up I want to do something that benefits our country. Education is important because it can lead you to your dream job!” Matthew said. Matthew Fox was nominated by Jennifer Breton the REACH Teacher at Manchester School. “Matthew was chosen to be student of the week because of his genuine love of learning, dedication, kindness and sense of humor. He collaborates beautifully with all students and treats everyone with respect. Matthew is intrinsically motivated to learn and organized a visit by World War 2 veteran, Mr. Fred Collins to help further our knowledge on the American history that he is so passionate about. Matthew’s willingness to help others, ask thought-provoking questions and do this all with a smile is why he was chosen student of the week!” said Breton. When he’s not in school he plays with his friends, plays sports and watch TV. “I like my school because I have had great teachers, including Mrs. Breton who always makes me feel proud of the work that I do,” said Matthew. College plans? I want to go to UConn and play basketball because it’s one of my favorite teams in college. 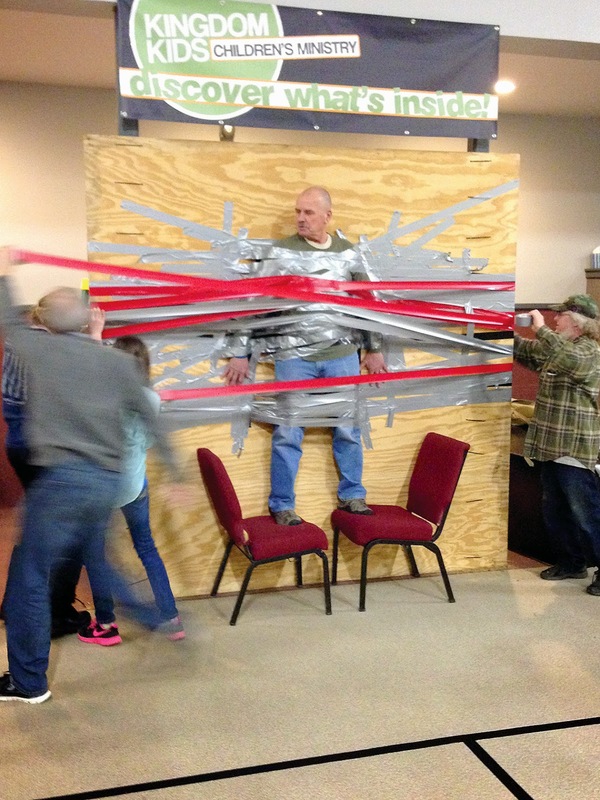 Principal Roy Mickelson was taped to a wall at Windham Christian Academy as a fundraiser for the school's general fund which pays teacher salaries and buys school supplies, according to secretary Donna Soares. 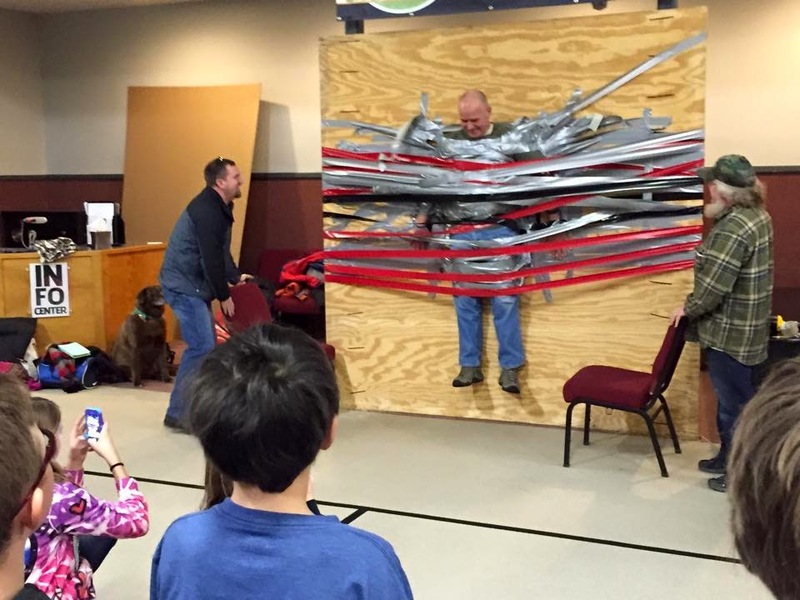 Mickelson is no stranger to being the target of school fundraisers. He was the most dumped on during the Ice Bucket Challenge last spring. "This is nothing, last time we had a fundraiser like this, they shaved my head!" he added. WCA is hosting an open house on April 7 for pre-K to 12 grade. 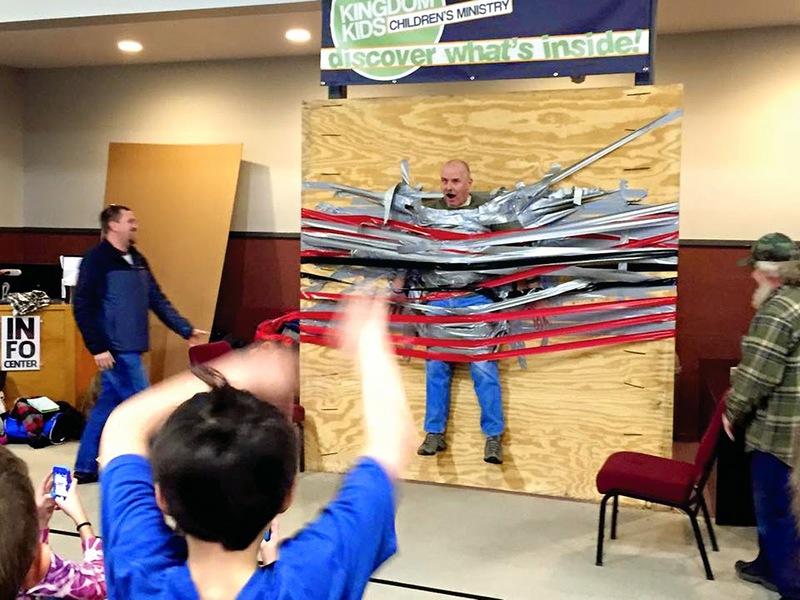 For more on the school, visit www.windhamchristian.org.